Our civil licence allows for weddings with up to 50 guests, as standard. By special arrangement with the registrar it is possible for up to 100 guests to attend. Bride and groom may take their vows in one of three romantic locations in the house and gardens. Wherever you choose, your day is sure to be filled with love and celebrations. The gazebo on Polpier’s front lawn is perfect for sunny days and can be dressed with flowers and decorations to suit your theme. The main hall can accommodate larger groups to admire the bride sweeping down the staircase to the couple’s choice of music. The light filled drawing room has an elegant and intimate atmosphere for smaller groups. The house and gardens provide many beautiful and unique settings for your photographs. 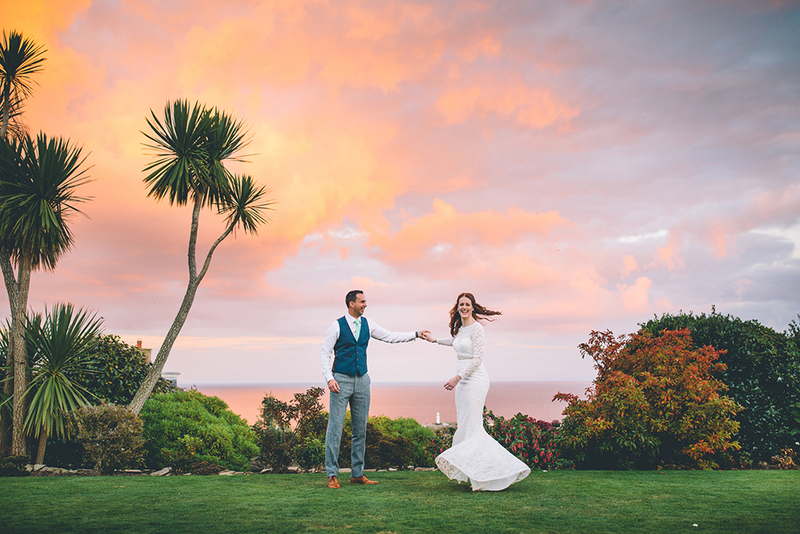 Intimate secret locations for just the two of your in your first moments of wedded bliss and fabulous spacious areas against stunning backdrops allowing the whole party to be photographed together. Memories to last a lifetime. Thank you for such a wonderful weekend celebrating our wedding. It couldn’t have been more perfect – the venue, the weather, the setting, the furnishing, the people. Everything about this beautiful place accentuated our day. We laughed, we cried, we played, we danced, we sang, we loved and we made our first memories here. We hope our love, laughter and happiness can be felt in the fabric of the building. We’ll be back. The most perfect week, a complete dream of a venue. 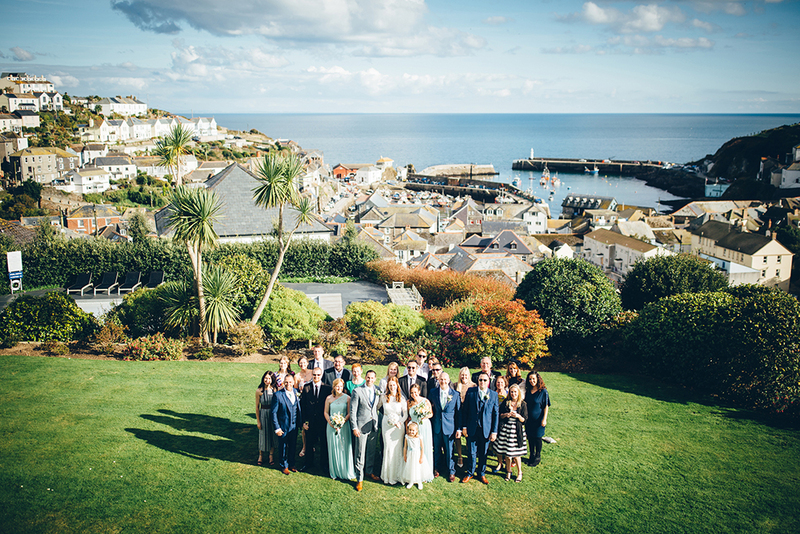 We had the entire plot for the ‘Belgrave Wedding 2016’ and all 26 guests had the time of their lives! Lots of tennis, snooker and croquet played. I’ve always dreamed of living in a commune and I’ve had that dream reaffirmed this week. Thanks to Amanda and the team for being attentive, thoughtful but not intrusive during out stay. The Setting Couldn’t Have Been Any More Perfect. Lovely weekend had by all who stayed here for the intimate Barrett-Reynolds wedding party. The setting couldn’t have been any more perfect. The view across the harbour is fantastic. So much thought has gone into ensuring every whim is catered for. But I think the most fabulous thing to be able to do was to sit down together and eat meals, talk and chill. Best weekend, very happy Mum of the bride. The perfect location for our wedding with our group of family and friends. Everyone loved the house and the beautiful views and combined with Penpol all of our guests had lovely stays. Thank you to the staff who set up and cleared away the chairs for the ceremony. We couldn’t have been happier with our choice. Many happy memories and we are looking forward to the photos with the house as a back drop. A Lovely Family Wedding in a Fantastic Setting. A lovely family wedding in a fantastic setting. The house was a perfect back drop for a family occasion with the separate Honeymoon Suite. We wanted for nothing whilst we were here and this will be a treasured memory. Thank you, and your staff for making our Wedding weekend, simply perfect. We are so grateful for your efforts in providing the most delicious, and beautifully presented Wedding Breakfast. Everything was exemplary. The Sun shone down on us for our whole wedding weekend. We were married on the lawn with all our family and friends. A perfect day. The house, setting and staff were exemplary. I wanted to contact you personally to let you know what a wonderful weekend we have just had for our wedding. We were so lucky with the weather allowing us to use the full extent of ‘Polpiers’ gardens and facilities. The house allowed family and friends to be with us for an extended time and the venue was just perfect. Amanda Craze looked after us superbly as did Graham and all other staff. The house and gardens were impeccable and we could not have wished for more. We are talking about a return visit for a wedding anniversary in the future! There is a minimum stay of three nights on wedding and civil ceremony bookings at Polpier so you can make the most of this truly special occasion. Wake up and spend extra quality time with your friends and family to make your Polpier experience an event to remember for more reasons than one.